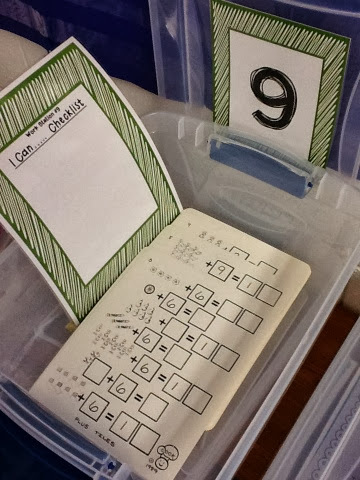 First Grade Critter Cafe': Peek at my Week - Math Work Stations Update! 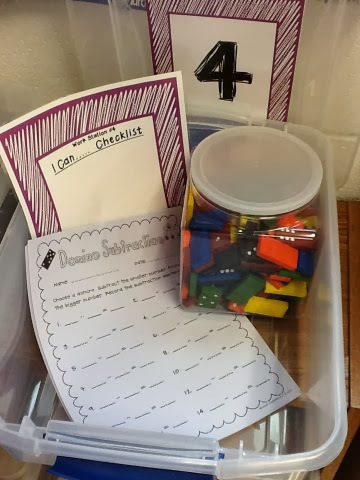 I am excited to share my progress with Math Work Stations! 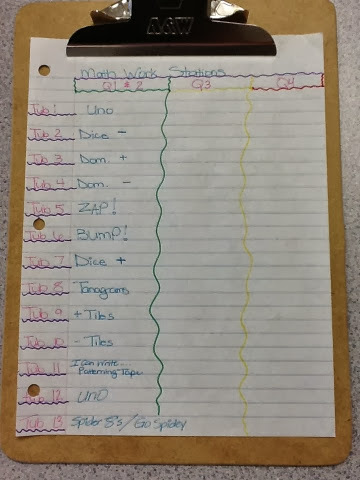 I found the blue pocket chart in the closet and didn't want it to go to waste! I reduced the size of my Work Stations cards by 55% on the color copier here at school. I needed the smaller size to fit in the sleeves on the pocket chart. daily. On test days, we will have 2 rotations. I hope to build stamina and add a second round daily. There are 16 tubs total. 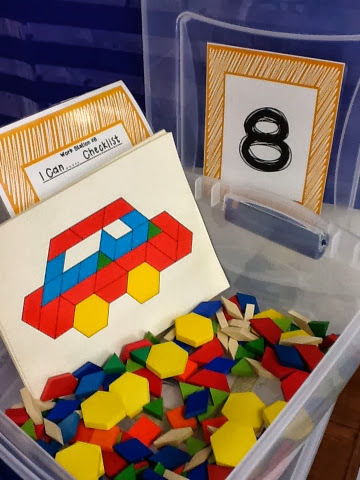 #'s 14-16 are themed and seasonal math materials. Here is a peek inside the first 13 tubs. 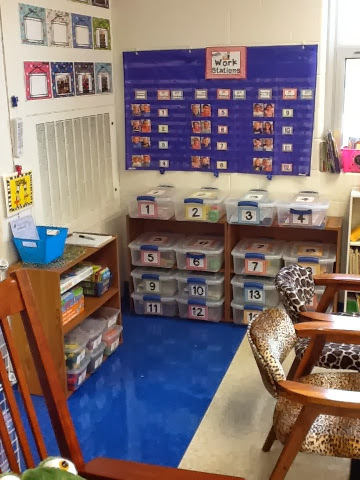 Students will turn in completed paper-pencil activities into the blue basket on this top shelf. 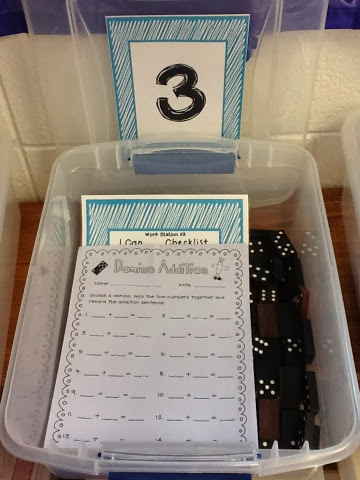 The other math games are for FUN FRIDAY rotation! 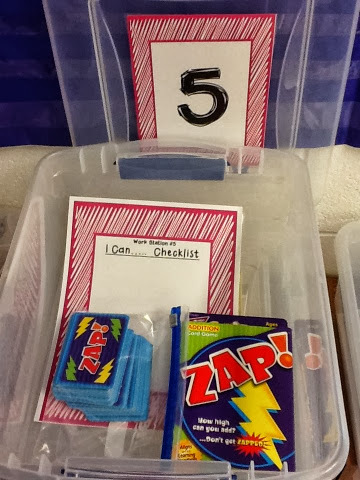 In my lesson plans for this week, we are introducing the final 5 tubs before starting the first round on Friday! I cut and paste my weekly plans into my E.C. planner. Have I told you lately how much I LOVE this planner! Happy Wednesday and I will see you back here for our Five for Friday celebration! I am so glad you did this post, thank you so much. 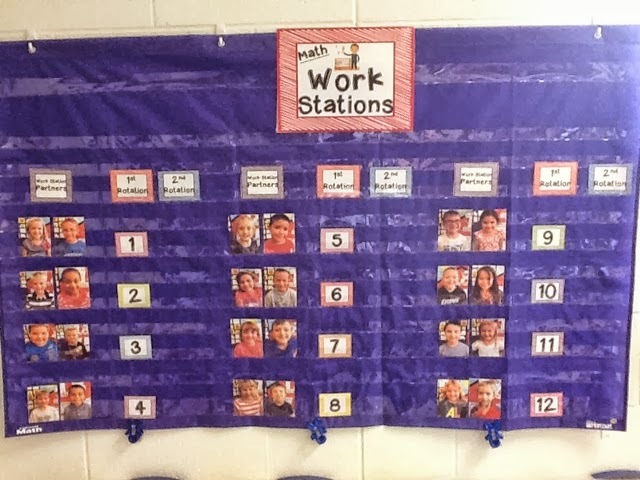 I had been wondering how your math stations were going. 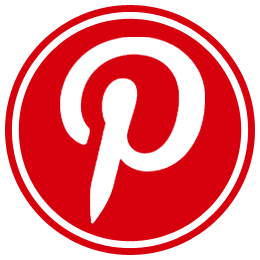 I am getting my up and running with only a few glitches. 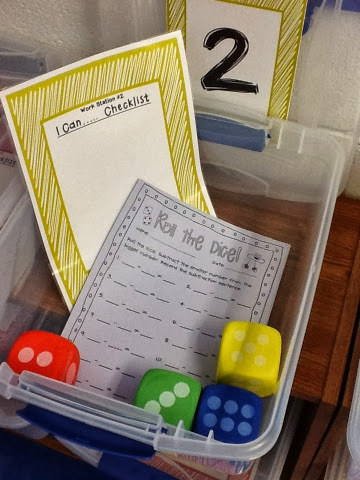 I know that your do stations once a day and wanted to ask if you are pulling kids during that time or if you are roaming and taking notes of how the students are doing on specific concepts. I have been pulling kids but feel I need to be able to check on those that I know might be having a difficult time. 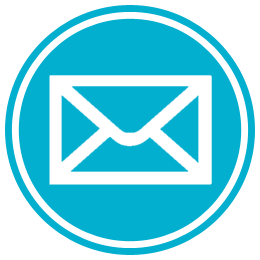 Thanks for any input you can offer. Julie! Wonderful! 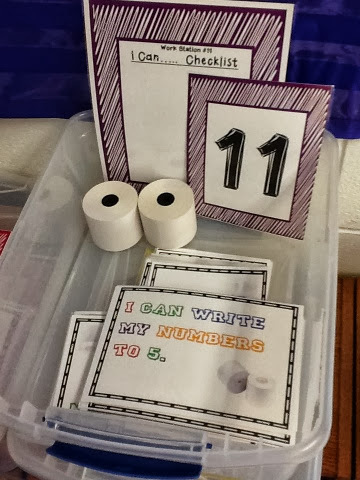 Time for me to get cracking on math stations. How long do you keep these stations? All quarter? The kids will do more than once? 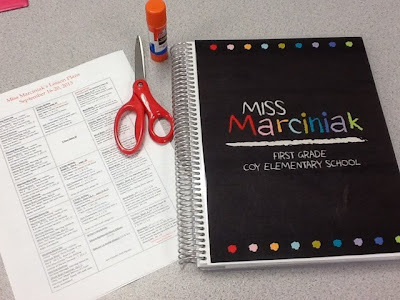 I just found this blog from your link up with Mrs Wills Kindergarten. 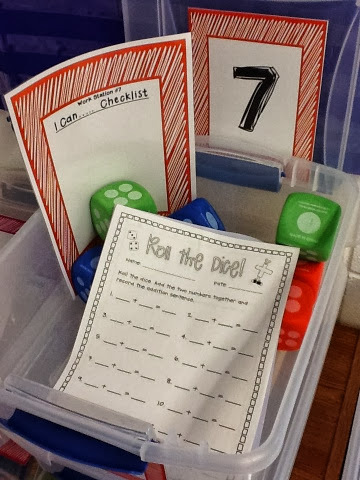 Your math stations look super organised and a lot of fun! 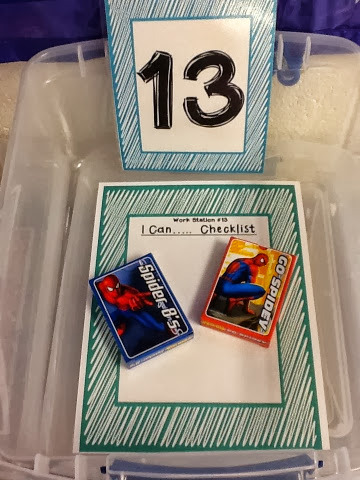 My first graders loved all things active learning and definitely learned a lot from those kind of activities. Where did you get these bins from? Love your system! 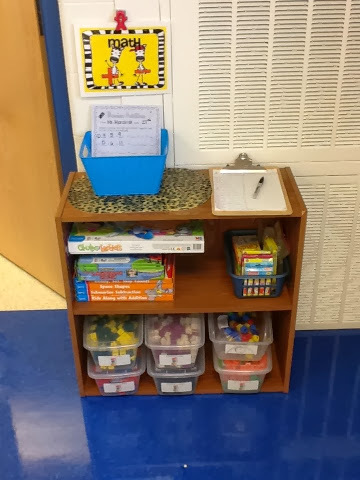 You mentioned that the students turn in work to the blue basket. 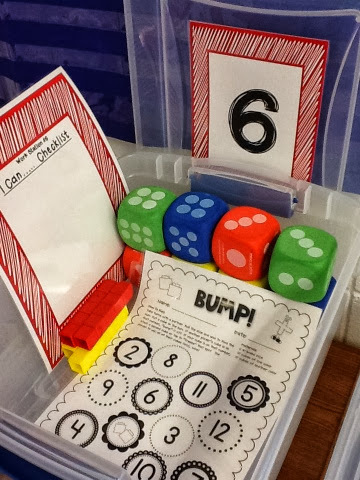 Where do they keep work that is not quite finished when math tub time is over? Love your system! Totally need something like this! 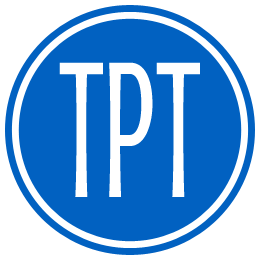 Are the center ideas on TPT as well as the numbers? Hi! In the beginning, you introduce one tub at a time and the kids don't visit any tubs? I'd love to begin this but I'm nervous about the beginning...do they remember after 13 days of intro what the directions were from tub 1 when it's finally time to start workstation time? Also, when you change tubs at the quarter how do you introduce new tubs? 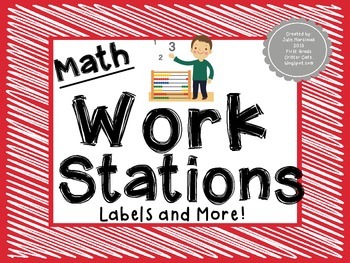 Another week to go over directions without math workstation time? Where are the sheets that you include inside the tubs? I would like a copy of the materials used along with the center signs. Thanks! Where did you get the containers and what size are they? 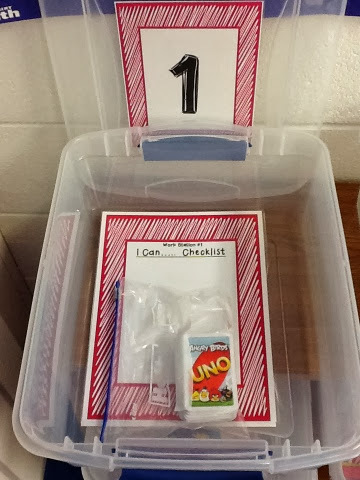 Do you have a link to what the kids are expected to do within each container? 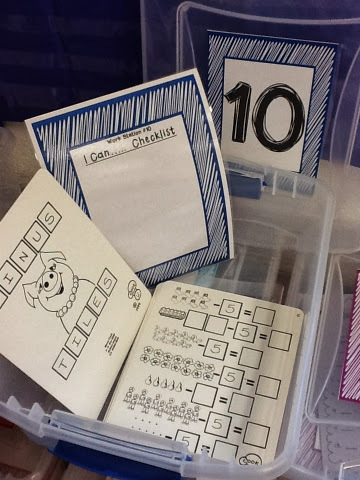 I teach intellectually disabled kiddos in high school and use centers. 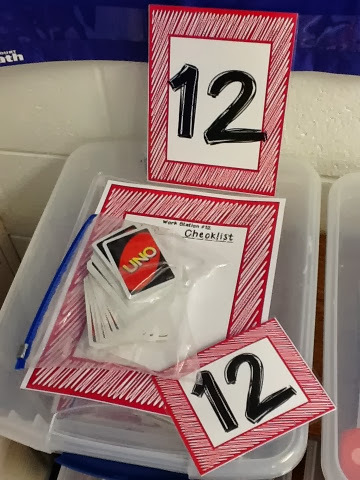 I would really love to know where you got your task cards from inside each box. 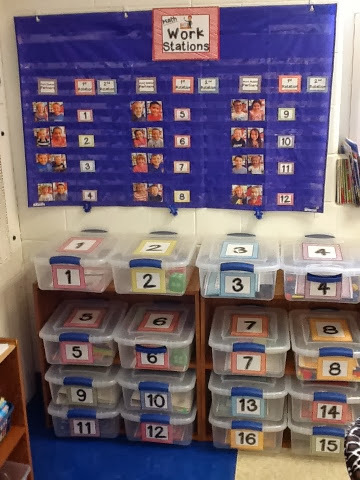 The activities themselves look great for my class. I can't seem to find anything else I like at the moment.